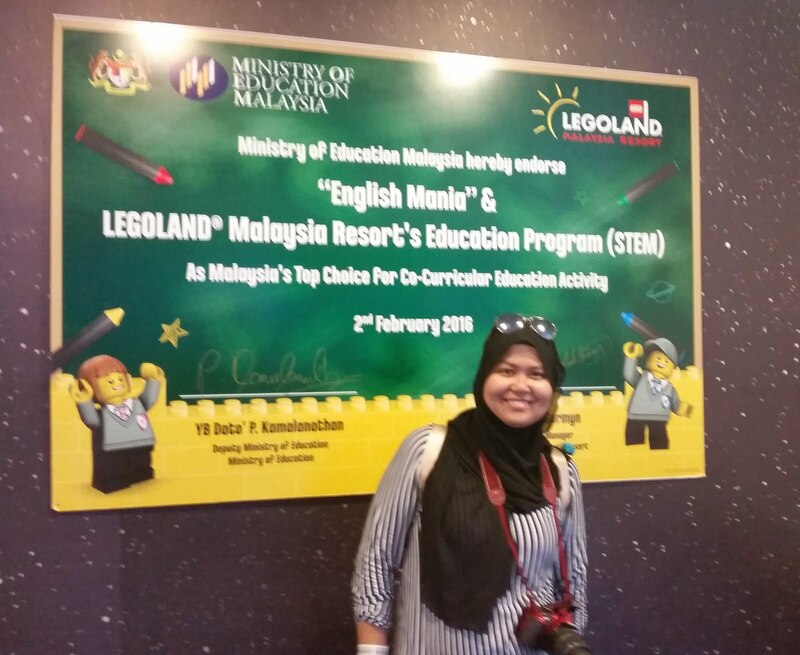 Nak dijadikan cerita, Ministry Of Education (MOE) dengan kerjasama Legoland ada buat programmed called, "English Mania & Legoland Malaysia Resorts Education Programme (STEM)" sepanjang Mac lalu. Sebagai seorang 'ikan bilis' dalam kementerian itu, tidaklah ku tahu latar belakang kewujudan program tu. Isk! my random guess, basicly its a programme that will encourage primary students to learn in such a fun way. No idea what is the connection with "english"..Oops! 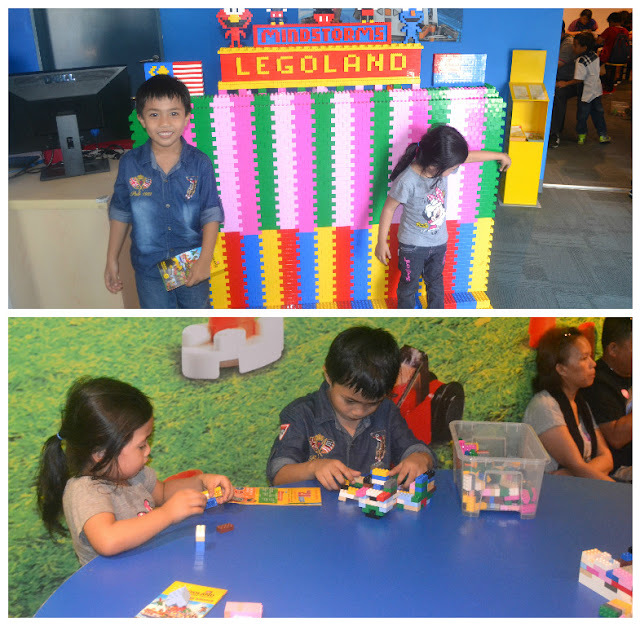 Sempena program ni juga, Legoland bermurah hati untuk beri kemasukan percuma (read: free tickets) ke theme park dia. Yes, no water park but still freeeee kot? Hahaha Every MOE staff was eligible to redeem 4 tickets per person. So, i secretly apply (yes, need to send an email for application and whatsoever) tapi pasrah je dan tak berani nak berharap lebih-lebih since the following weekend we, one whole family will go for a holiday trip to Ho Chi Minh City, Vietnam. sure. money constraint. Anyhow, i did get a positive reply from Legoland. 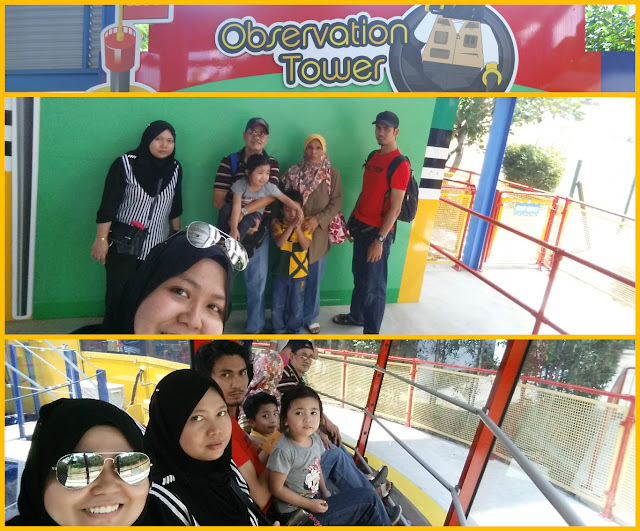 Waktu ni, dah berbelah-bahagi sikit, camna nak pujuk diorang ni oii.. Ha haa and i decided to go with my brother 's family since they are the one with kids in proper age for things like this (Danish, 6 & Sara, 3). Yang lain kecik lagi (Both are 1+ y/o), belum reti, kesian, nanti letih sesaje. along with my parents too. 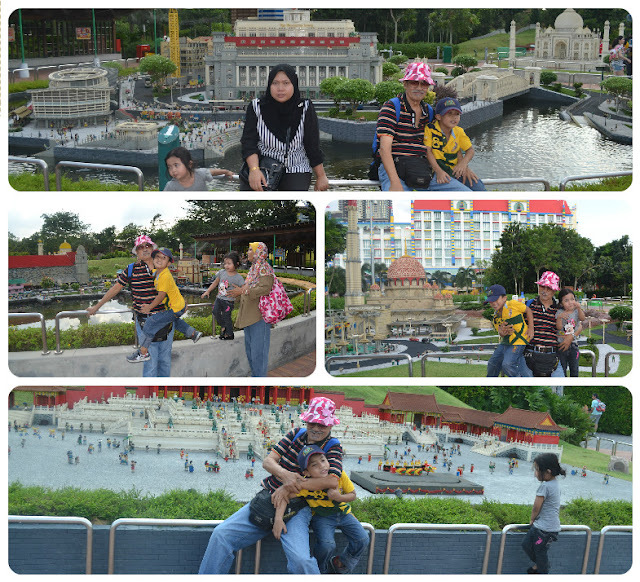 Dah namanya Legoland, haruslah budak-budak ni eksaited kan.. Huhu tambah-tambah si Danish, "acu, kita nak pergi Legoland kan..? 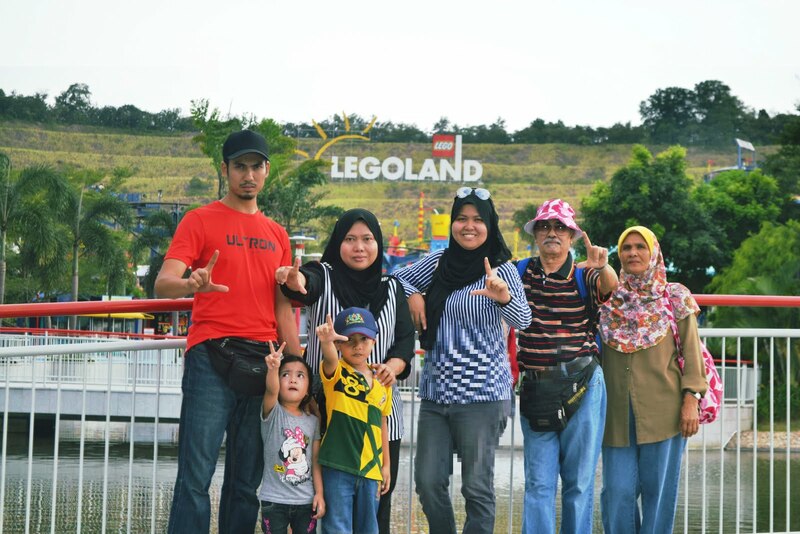 Haa tu Danish dah nampak Legoland.. etc. etc." (^_^'') Hiks! here are some of the pictures.. So, thats it... Till then! I must've been blessed to have such a family. They keep supporting, being tolerant and giving me the opportunity to do something my way (of course, only if the decision do no harm to anyone huks). Less hanky-panky make everything turns out fine and smooth even it was a last-minute plan with a tight budget. Merci Me Familia!